Upgraded a Gigabyte EP45-UD3R with the x5460. Amazing performance increase over the old Core2Duo e8400. Easily overclocked to 3.60 GHz and haven’t tested the limits beyond that. It was super easy to install...just like any other CPU (just had to pay attention the notches are in the correct position). Not sure if it was even necessary, but I patched the latest microcodes onto the latest F9 bios and flashed into the board - no issues whatsoever ever. Delidded dot Com has lots of info into this whole process and was very helpful. 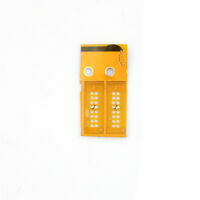 Highly recommended upgrade for any compatible socket 775 motherboard. Purchased via fcoronado74 Cosmetic: First thing I noticed is that this is the most damaged pair of CPUs I have ever gotten, I have bought even older used CPUs. Preformance: Temperature in C. Fine preformance, idles at 40-50. Maxes out at 85 via prime95. I lapped them and got temps down 10 deg. A pair of these made my older HP Workstation get up and dance. Only a small performance difference between these and the top-of-the-line CPU's at a fraction of the cost, plus the TPO is only 120W vs 150W for faster CPU's. I'm running these on stock single-stack CPU coolers with no problem. I just had to add a 5th pin to the stock coolers and jump it to pin 3 on each one to fool the MB into thinking it's a double-stack cooler. (This is well documented on the web.) 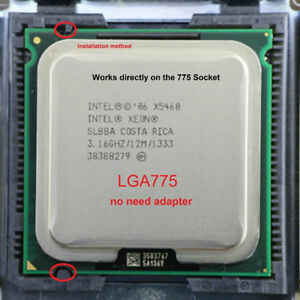 IMO, it's the best bang for your buck if you have one or more LGA 771 sockets to populate. 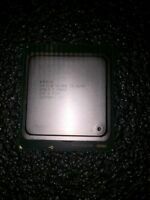 I purchased this CPU after I found out about the modification that will allow socket LGA 771 CPU's like this one to work in some LGA 775 motherboards. I have mine installed in an Asus P5Q motherboard with a modified BIOS and cooled by a Cooler Master evo 212. It easily overclocks to 4.1GHz without issue. It really breathes new life into an aging LGA775 platform at a cheap price.